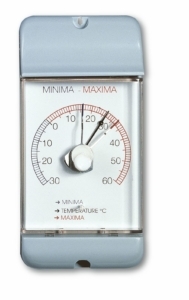 With the Maxima-Minima-Thermometer you always have three values in view at the same time: the current, the highest and the lowest temperatures. You can determine the observation period yourself. 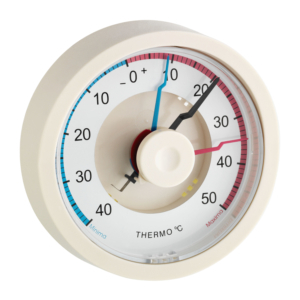 Just press the pushbutton to reset the display to the current temperature.